Bring a neighbor, bring a friend, bring a loved one! On Saturday, December 1st, stop down to the South Wedge for this FREE festival full of holiday delights! 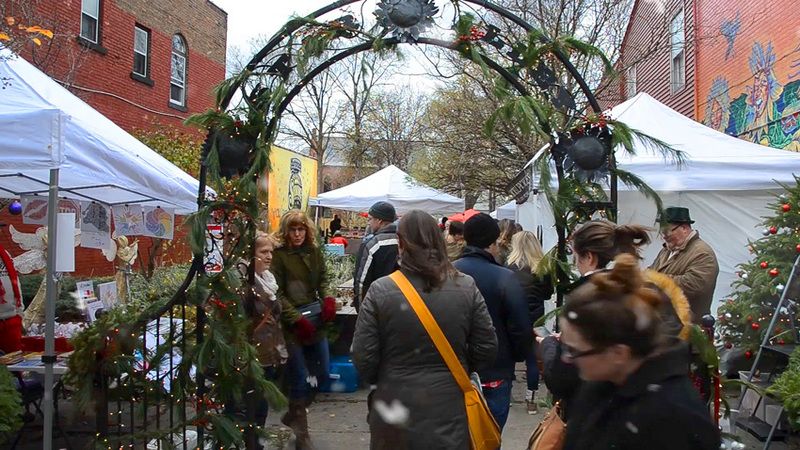 Throughout the neighborhood, there will be folks spreading holiday cheer through music, food, and handmade goods. Little Button Craft will be hosting "A Handmade Holiday" - part of the It's A Wonderful Life In The Wedge festival. Vendors will be hosted at multiple locations to ensure that you find the perfect holiday gift for someone you care about. Enjoy holiday decor and vendors in Star Alley, live music and carolers, children’s crafts, meet Santa, join a musical holiday parade, and more! PLUS participating businesses will be hosting holiday specials at throughout the South Wedge Neighborhood. Get down to the Wedge and get into the spirit! Make your holiday something special with hand crafted gifts from local Rochester Artists. Each year the list of different artists grows as we expand our Handmade Holiday craft festival. From decorative glass to needle felted pieces, letterpress prints to beard oil, the Handmade Holiday Craft Show has everyone on your shopping list covered.